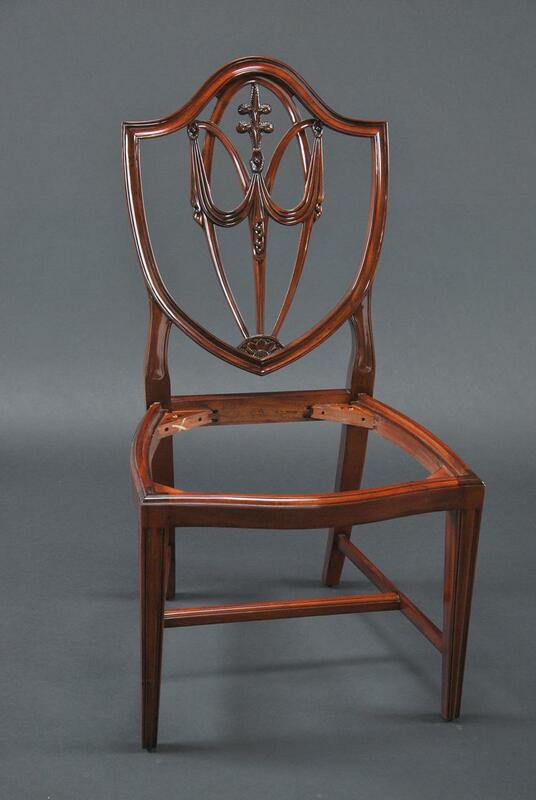 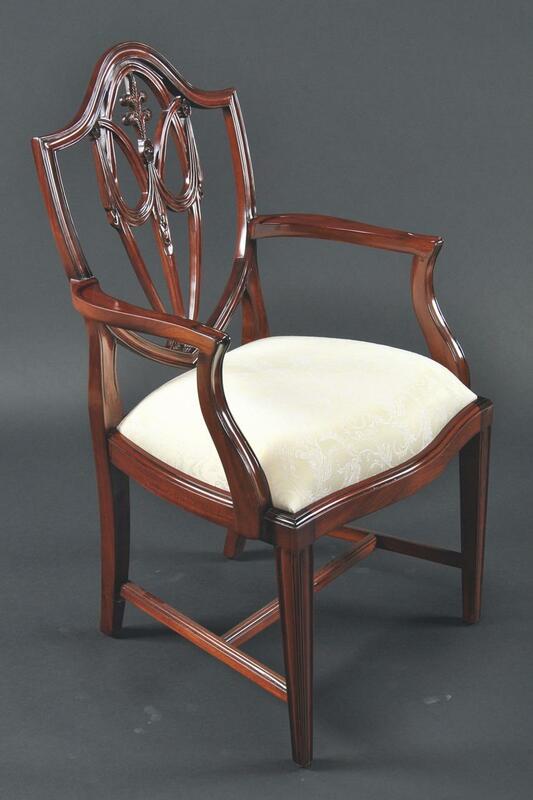 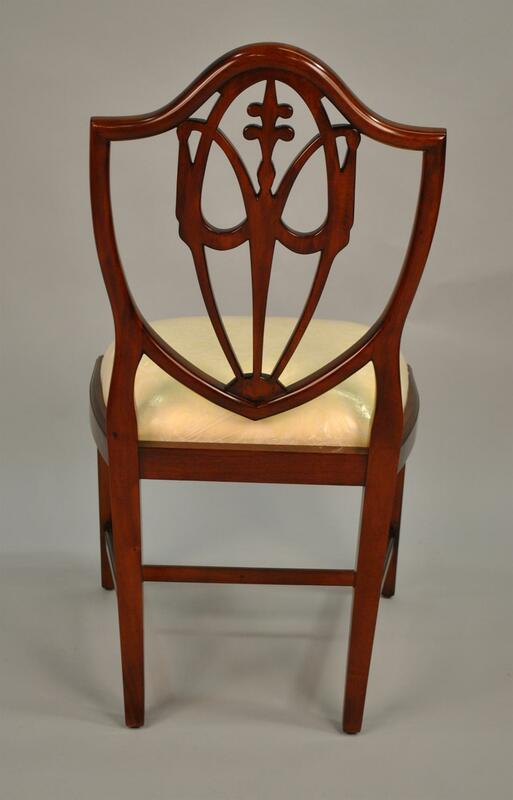 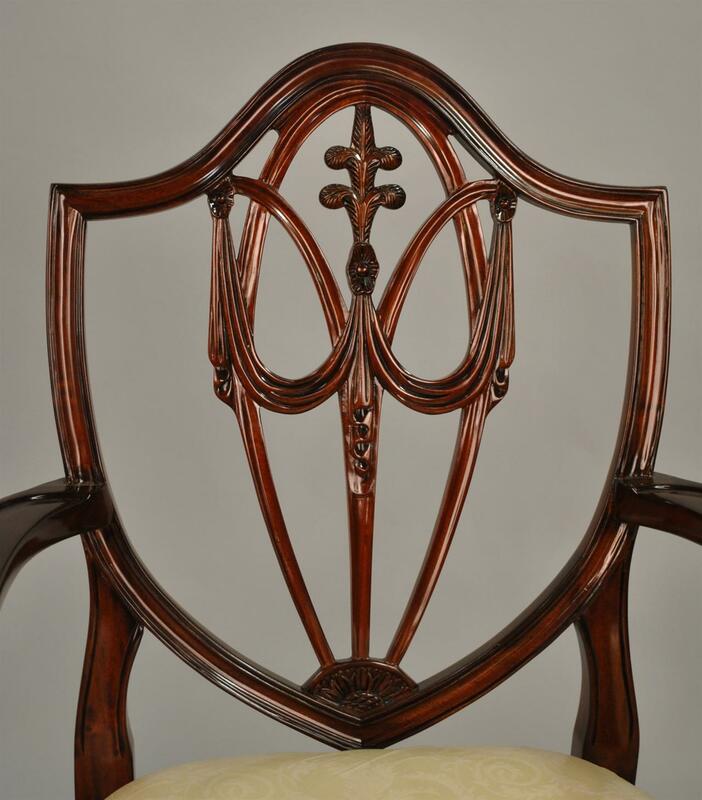 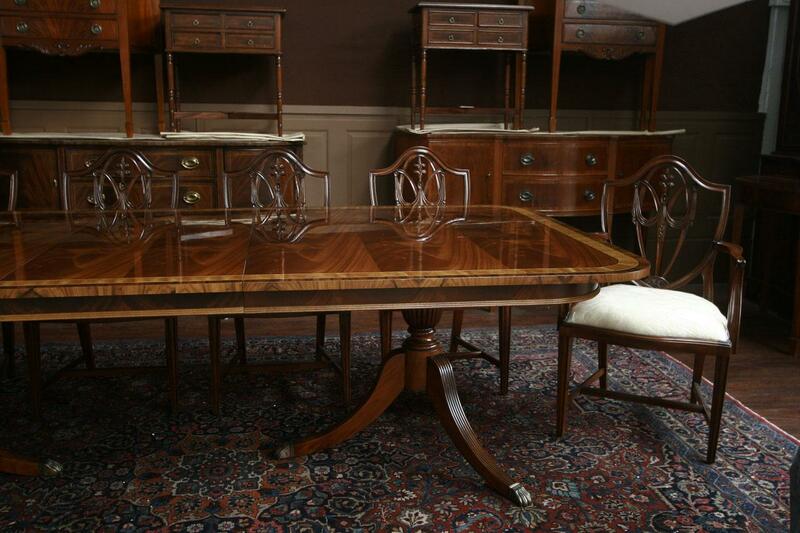 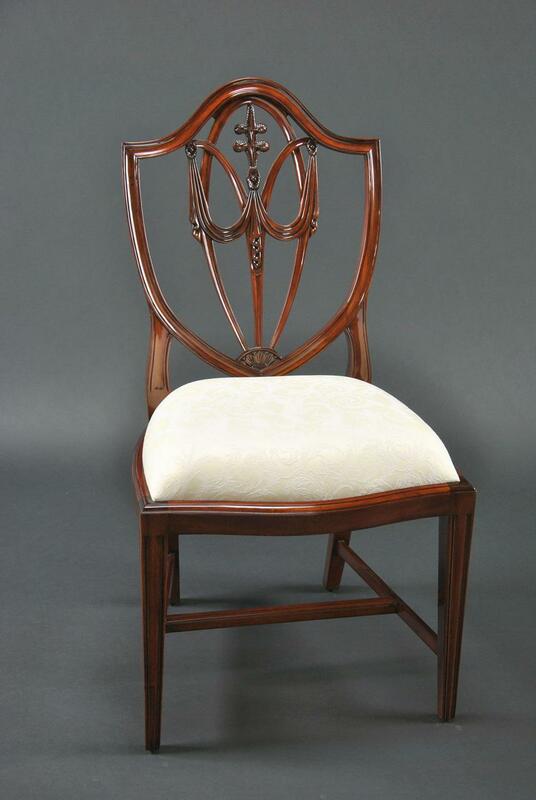 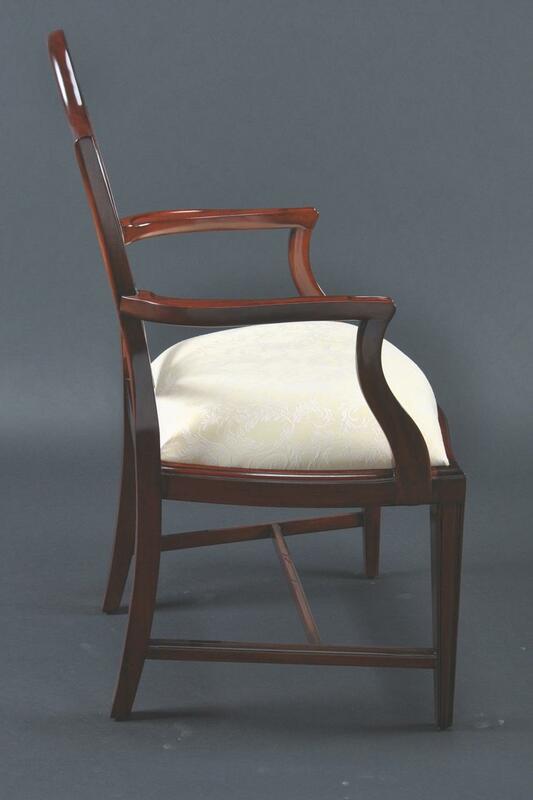 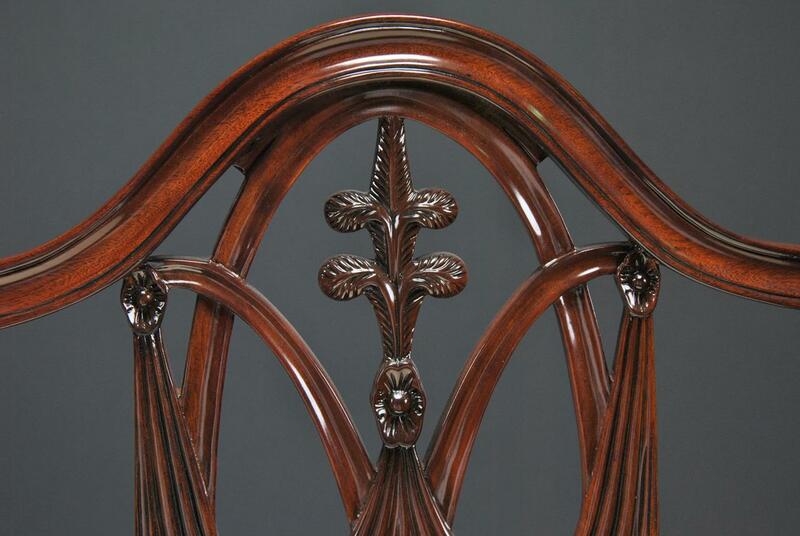 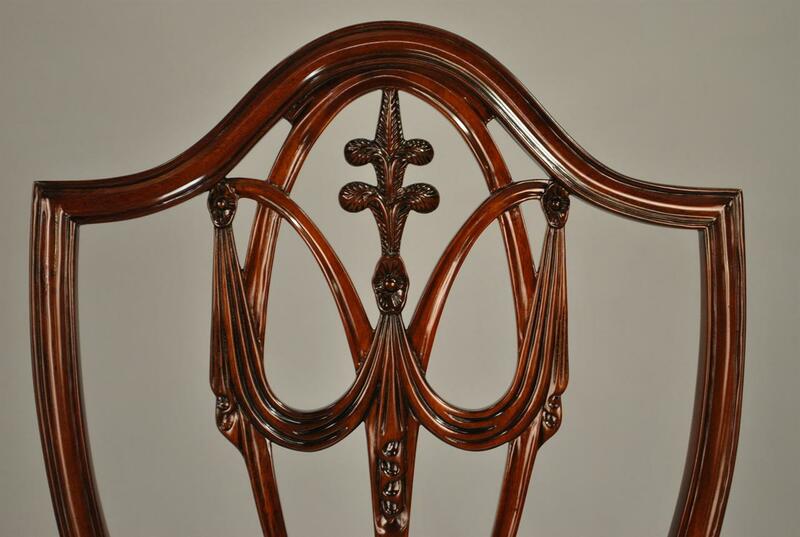 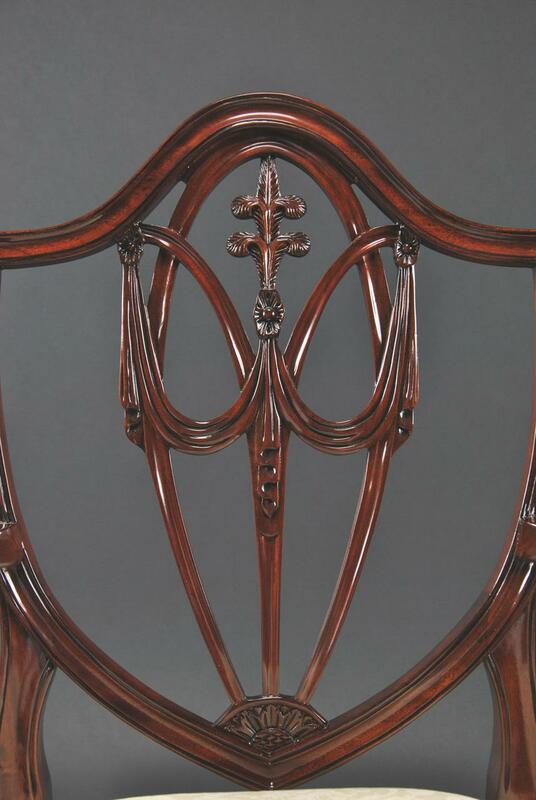 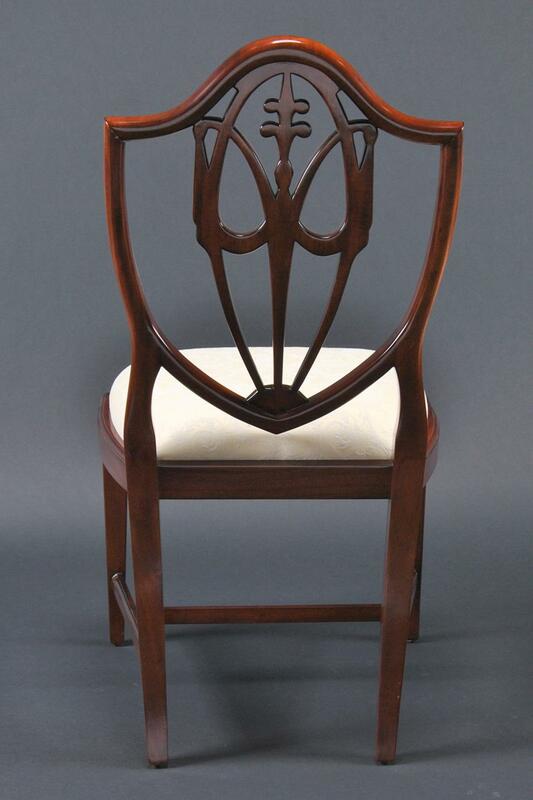 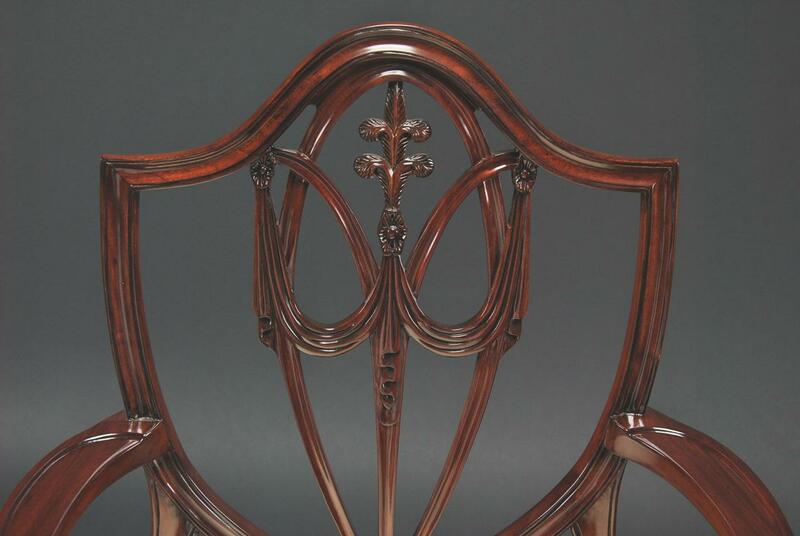 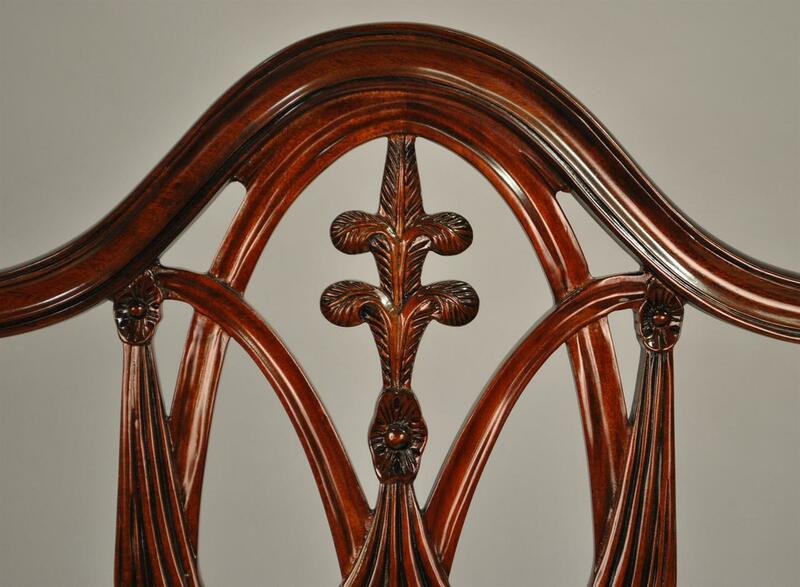 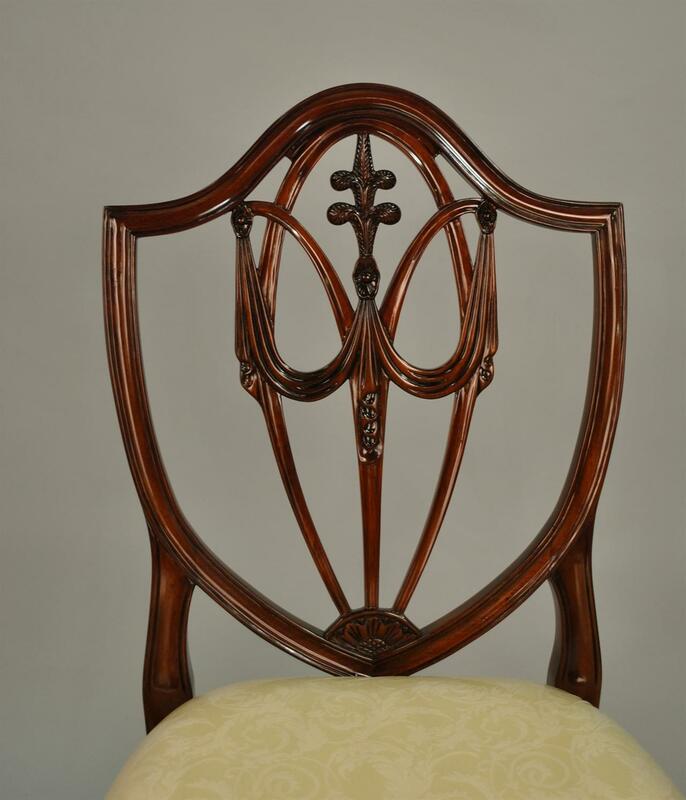 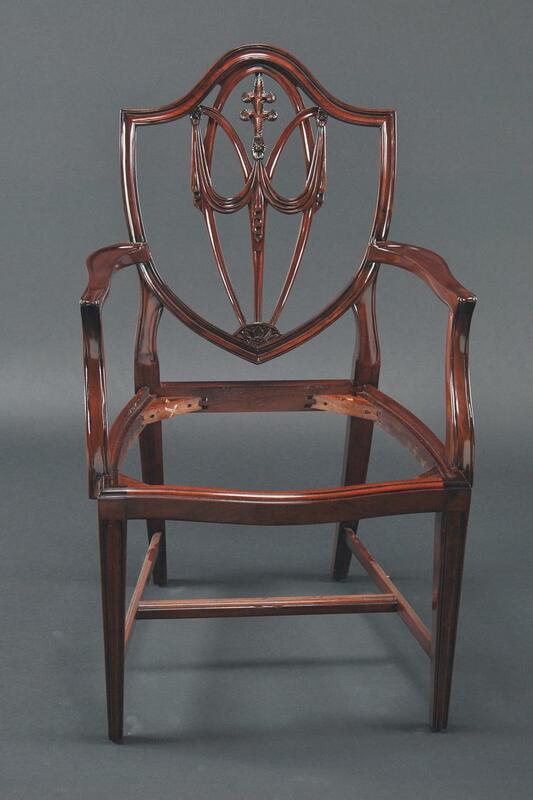 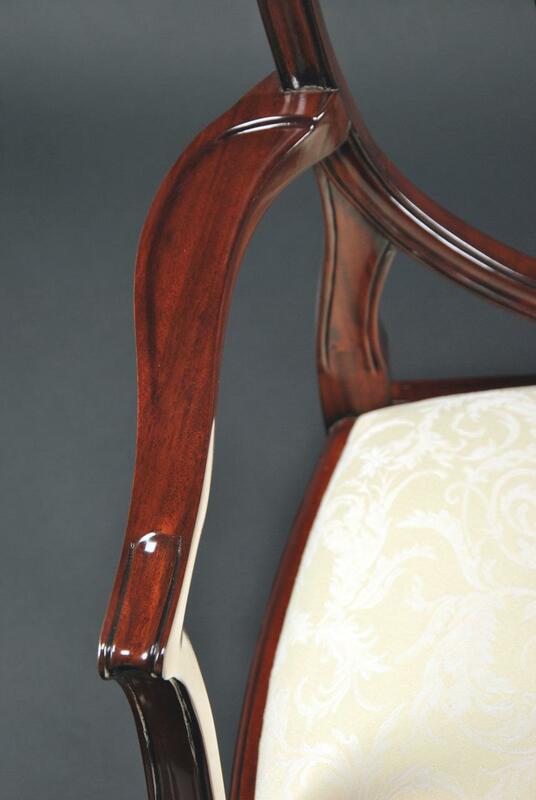 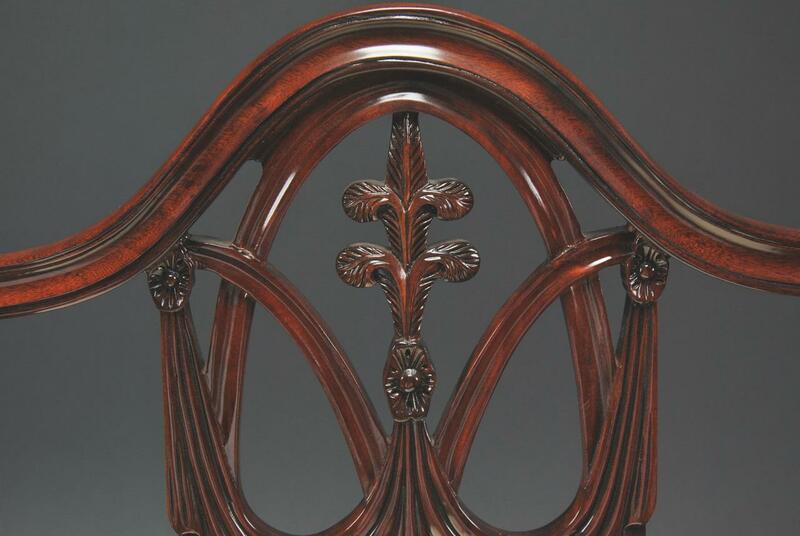 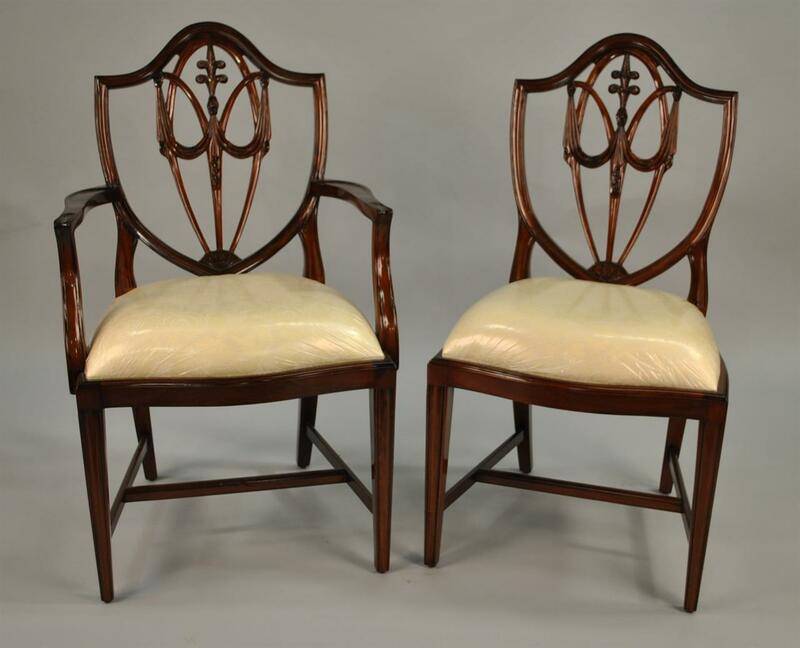 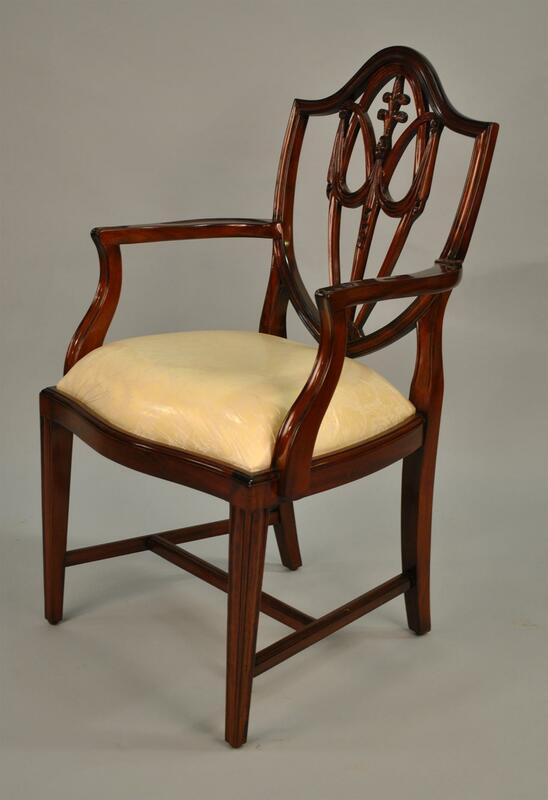 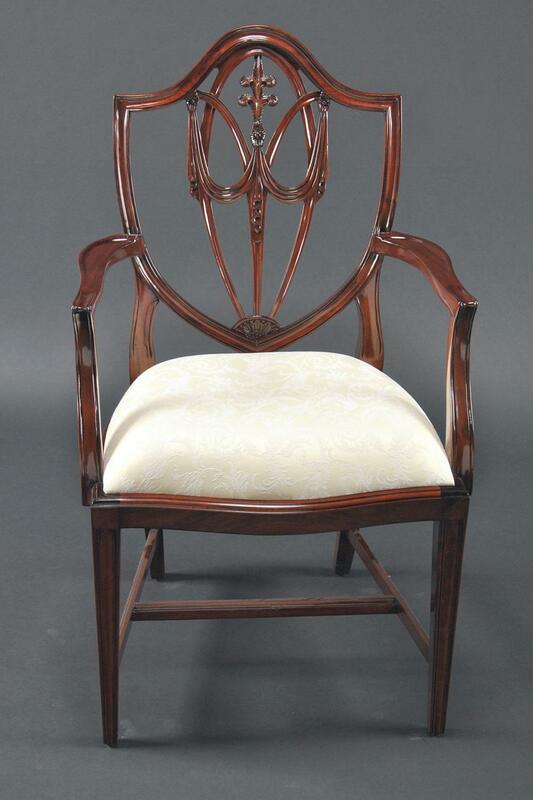 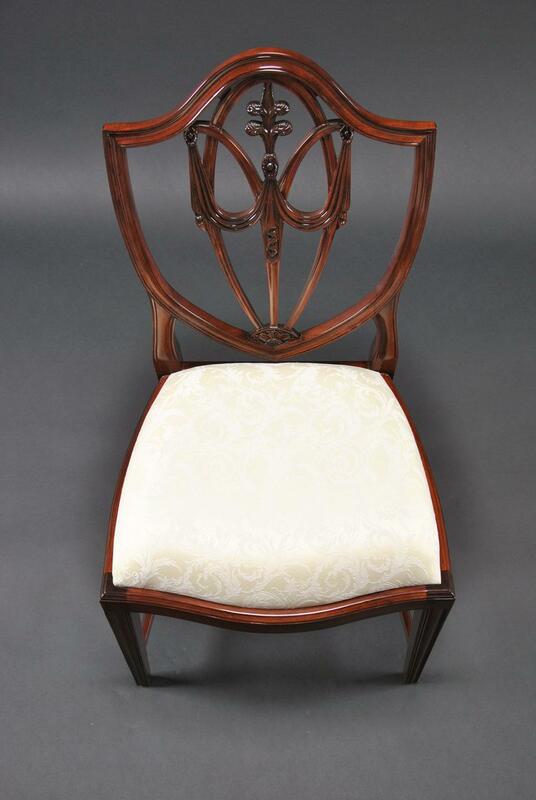 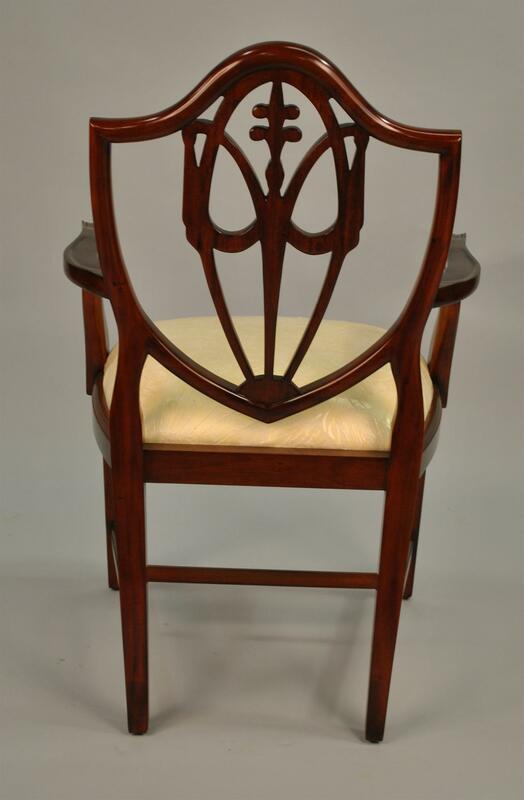 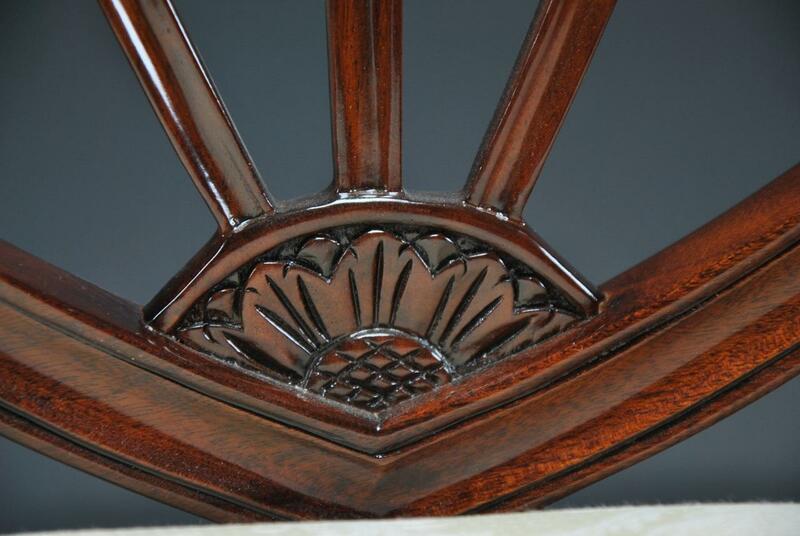 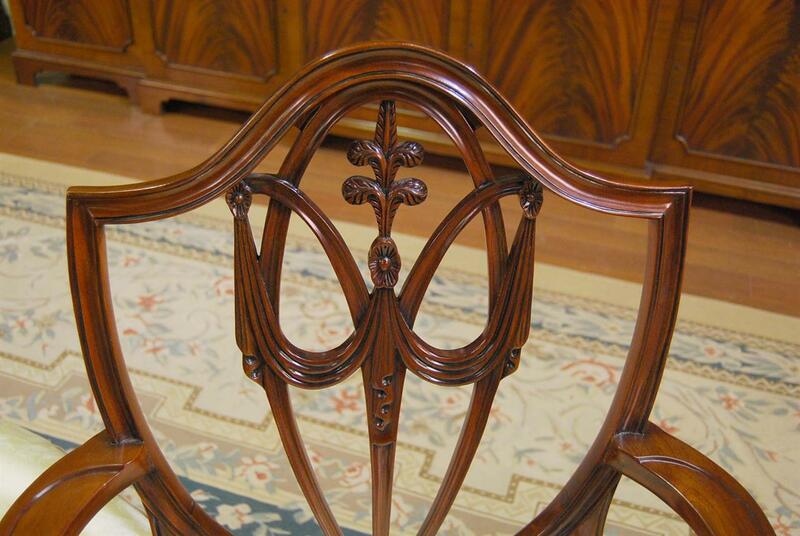 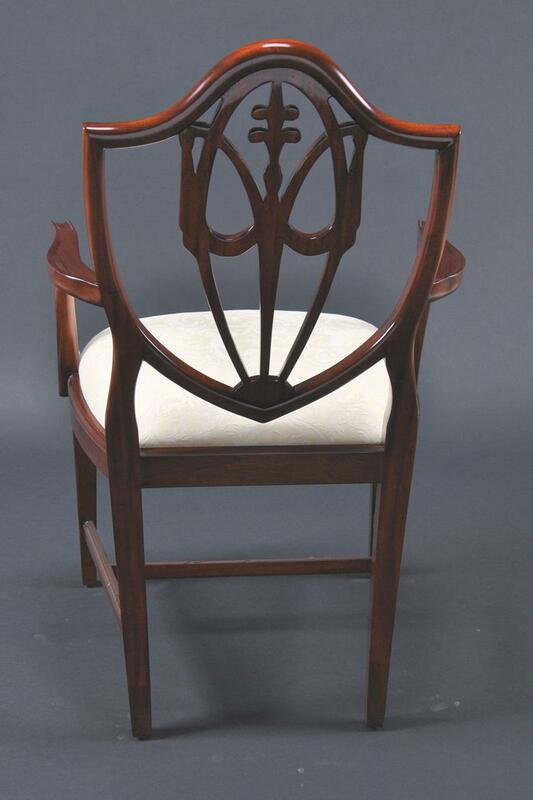 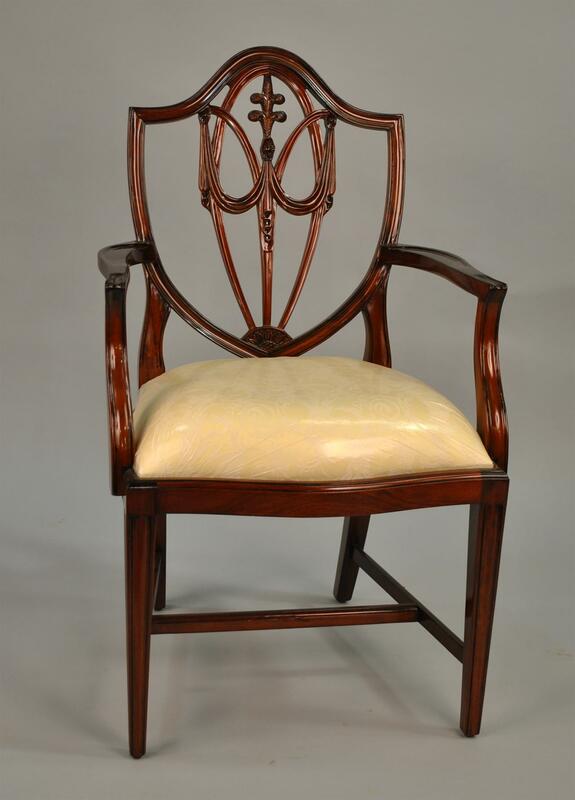 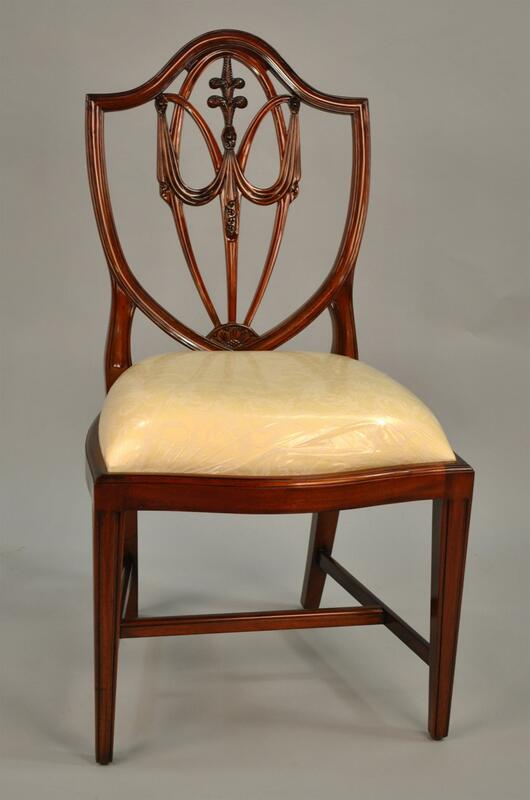 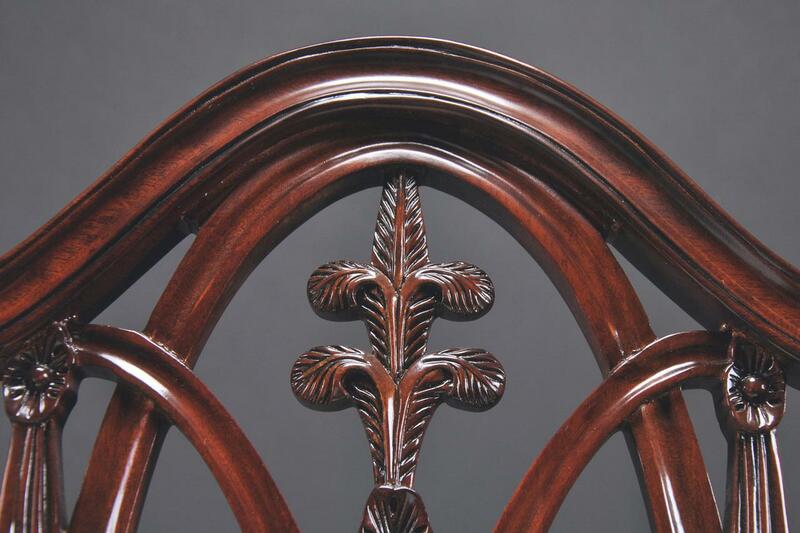 Description: Solid mahogany, hand carved shield back chair with Fleur de lis design carved in back splat. 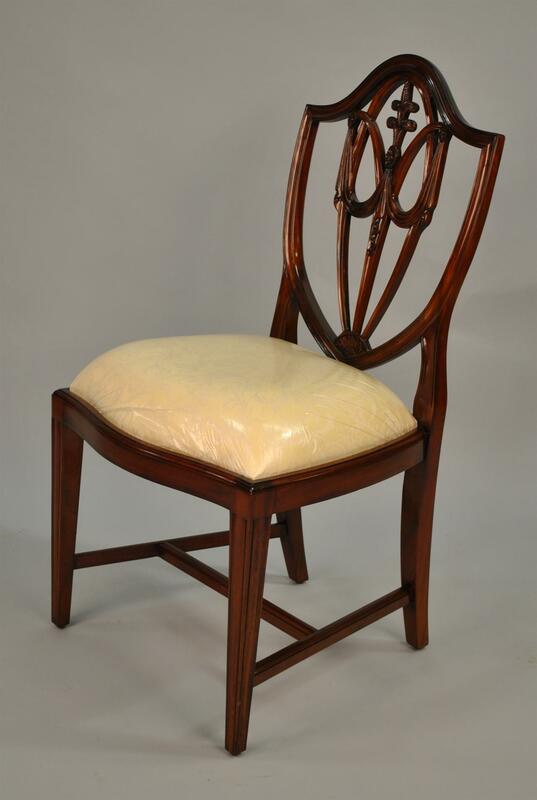 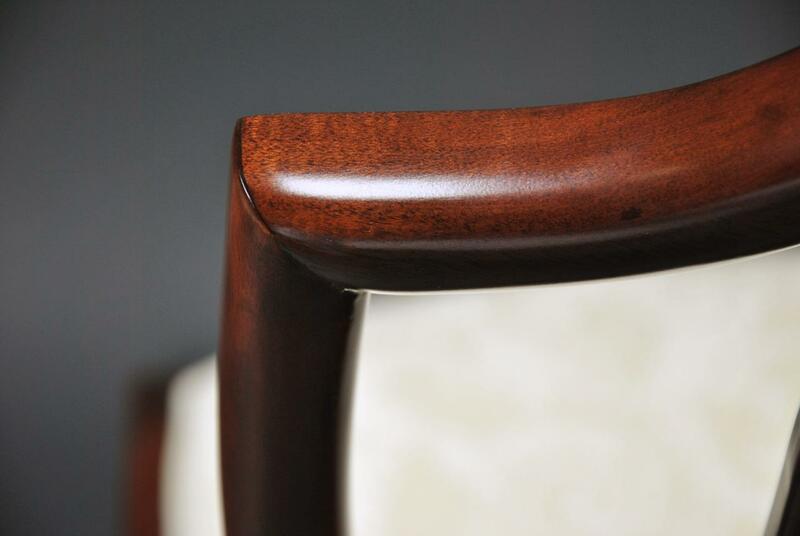 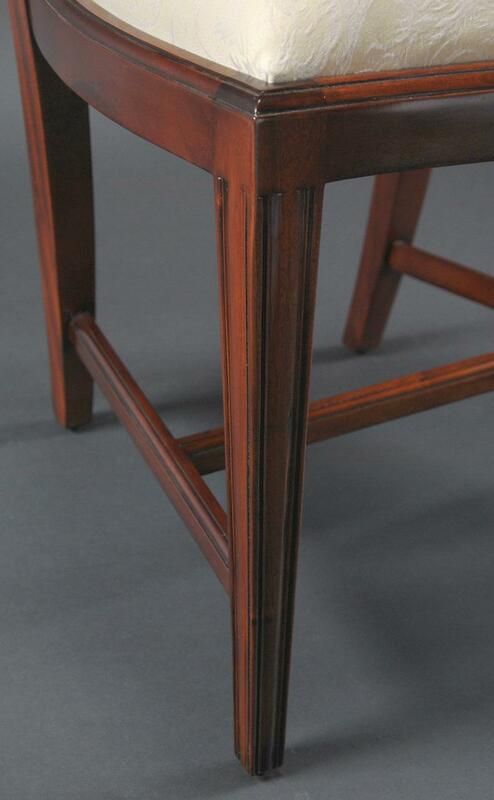 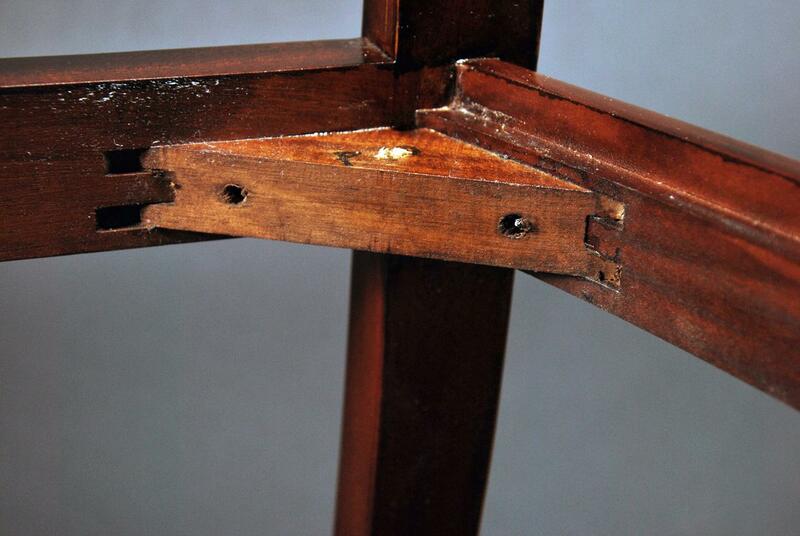 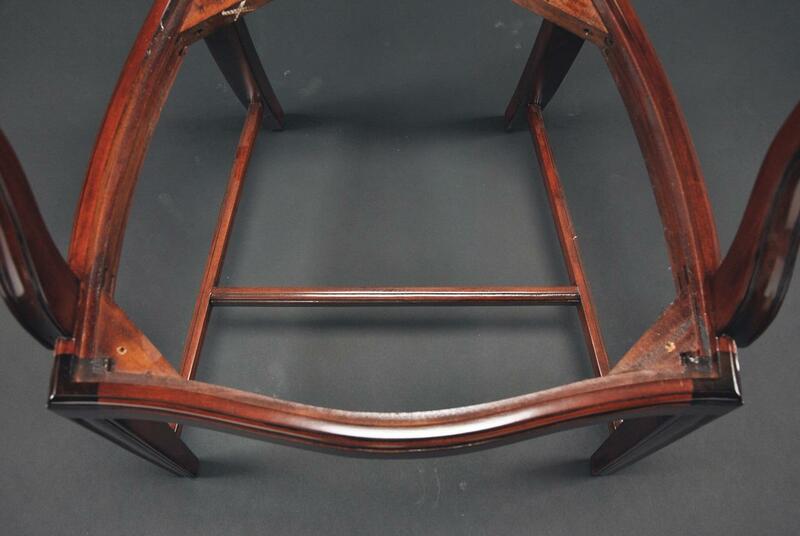 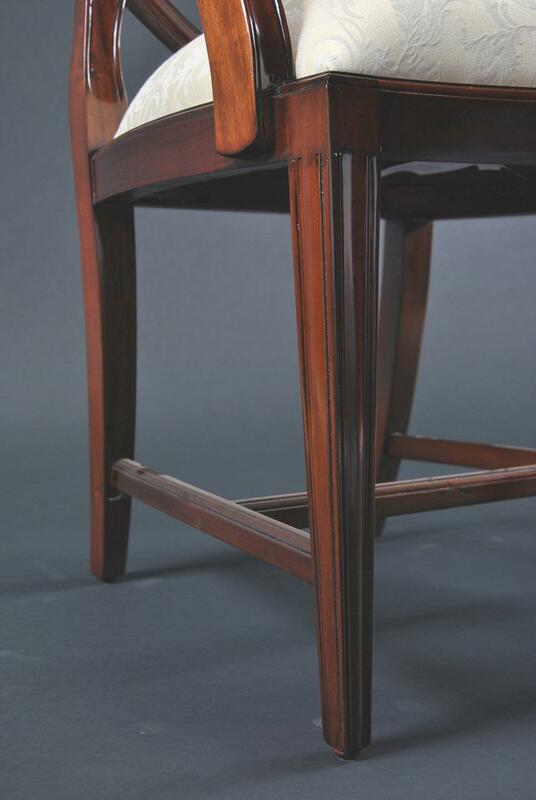 Very solid chair with stretchers and cross stretcher base. 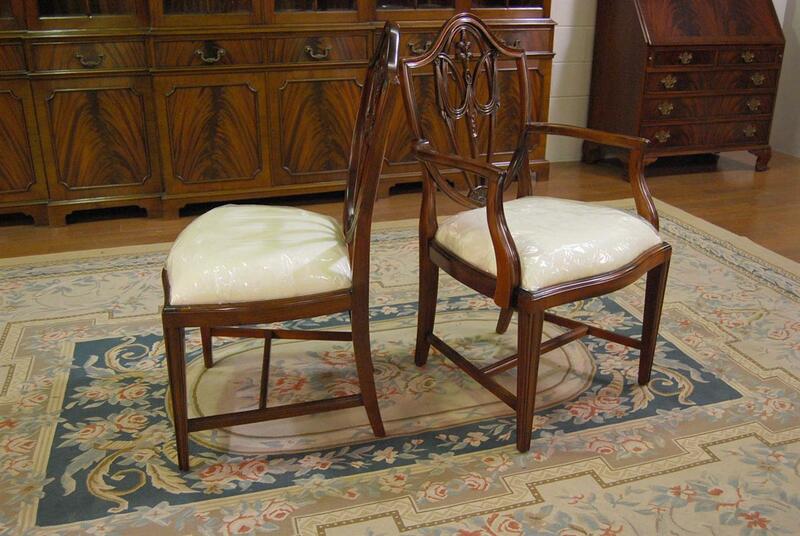 Ready to be used in the home today. 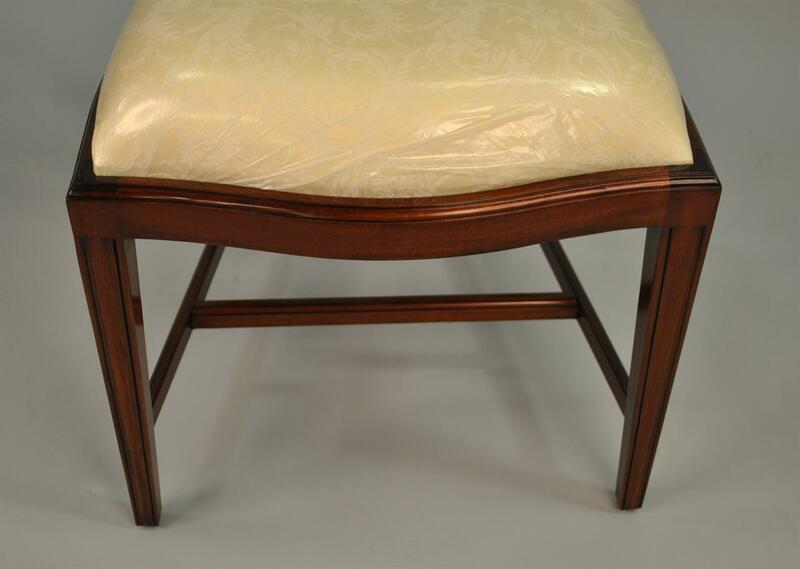 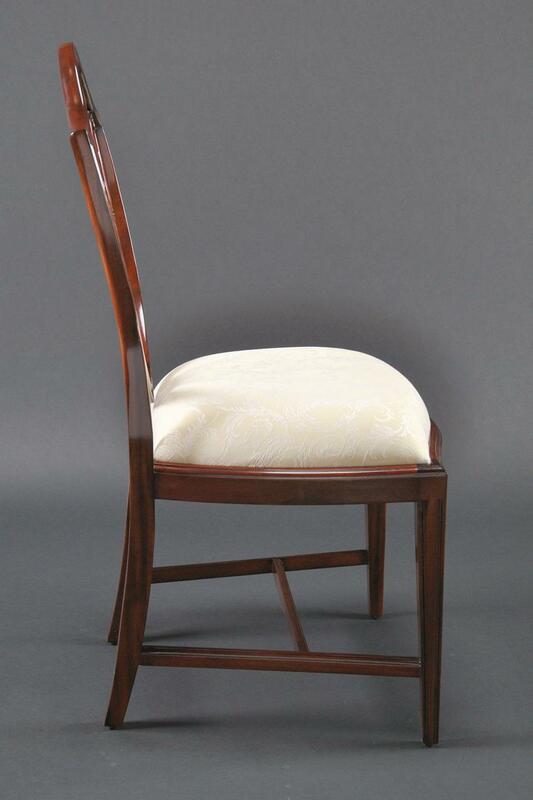 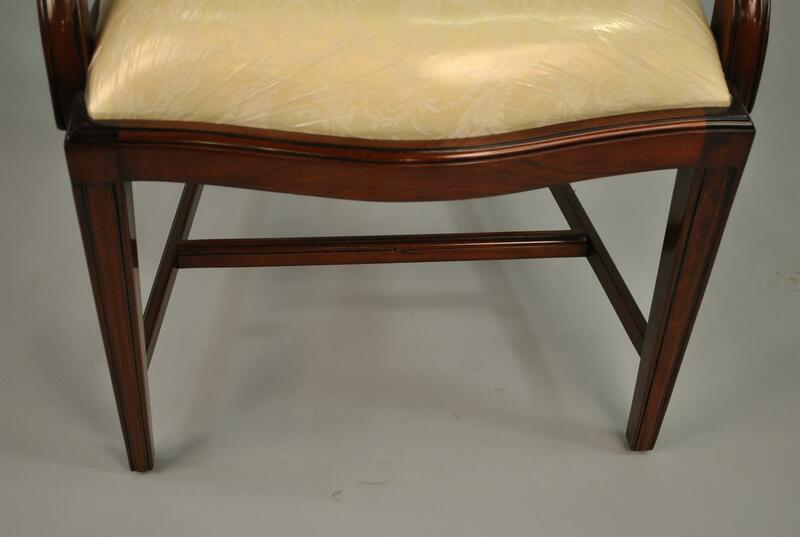 Neutral fabric fits any decor, easily removable seat cushions allow for quick and inexpensive fabric change.